The Ear Hustle team in the midst of a story pitch session for the soon-to-be-released podcast. A unique podcast about prison life, produced by incarcerated men, will release its first episode later this month. Ear Hustle — slang for “being nosy and eavesdropping,” according to a preview episode — tells stories of the men serving time in San Quentin State Prison in California to offer a “nuanced view of people living within the American prison system,” according to a press release. 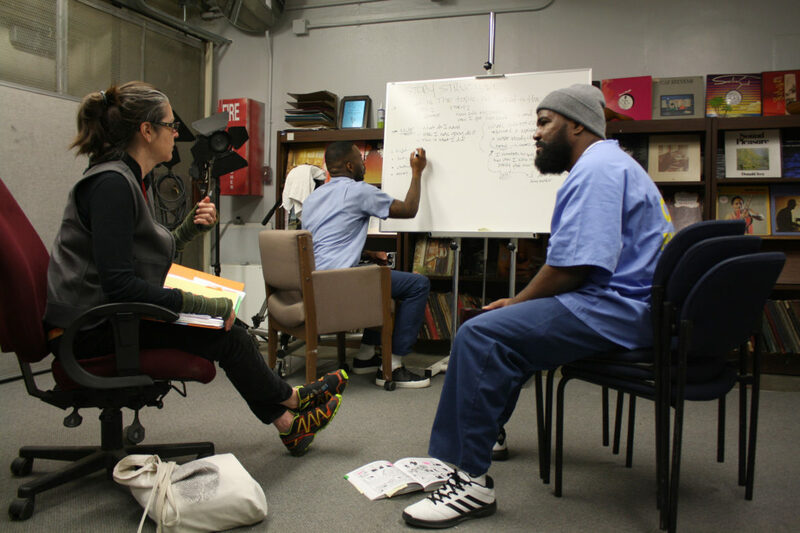 Two of the show’s co-creators and producers, Earlonne Woods and Antwan Williams, are incarcerated at San Quentin. Co-creator Nigel Poor, an artist and professor from the Bay Area, also helps produce the show and co-hosts with Woods. The team conducts interviews and produces episodes entirely inside the prison. “That’s really cool, but it’s also super challenging because we have limited hours we can work, we’ve got no internet access and we can’t even frickin’ talk to each other on the phone,” Poor says in a preview of the podcast. The debut episode, which tells stories of cell mates or “cellies,” will be released June 14 with future episodes coming out every two weeks. Episodes in the 10-show season will run 20-25 minutes. Ear Hustle won Podquest, the PRX contest to incubate new podcast ideas. It received $10,000 to support production and joined the fold of Radiotopia, PRX’s podcast network. PRX is tapping its existing Radiotopia podcasts to promote the launch. Each of the 16 shows are releasing episodes around the theme of “doing time.” The podcast Criminal, for example, released a show where they visit a “body farm” where researchers decompose human bodies to help law enforcement discover how a person may have died. All Radiotopia podcasts are promoting Ear Hustle at the end of their shows this month. The Knight Foundation funded the Podquest contest and provided $1 million to PRX in 2015 to support Radiotopia’s independent producers. A PRX spokesperson said there are currently no plans for a second round of Podquest. PBS Board election goes to tie-breaker, Tomczyk takes on leadership of second station, and more . 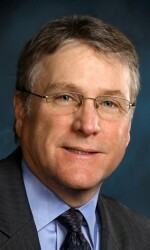 . .
Rich Homberg, president of WTVS in Detroit, was the winner in the first tie ever for a spot on the PBS Board of directors.